Doggie Latchkey is proud to offer dog walking and pet sitting services in the Greater Grand Rapids area and most of Metro Detroit. Below is a list of our coverage areas. Please contact us if you have any questions about whether we work in your area. Even if your city/region isn’t listed below, chances are good that we can still come and help you out with our pet sitting services. Call to inquire! Oakland County is Doggie Latchkey’s home base. Our family-run business was started in Farmington Hills and we are proud to serve all of Oakland County. Doggie Latchkey provides pet sitting and dog walking services throughout Wayne County, including the city of Detroit. Doggie Latchkey’s coverage area includes all of Macomb County from Sterling Heights and Warren to New Baltimore and Romeo. 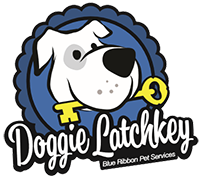 Doggie Latchkey will be offering our blue ribbon dog walking and pet sitting services in the Lansing area soon! Doggie Latchkey expanded to the Grand Rapids area in 2009, and we are constantly improving our service area to better meet our customers’ needs. We are happy be able to cover the entire Grand Rapids area, and provide service from Rockford and the northern suburbs to Byron Center and Hudsonville. We offer the highest level of in-home pet sitting in the industry, and we strive to provide you with the ultimate in peace of mind while your pets are in our care. We offer a wide range of pet sitting services in Ann Arbor, including daily dog walking, cat sitting, puppy care and even overnight pet sitting. Contact us to schedule service in your area!